Draft: 2008, Minnesota Twins, 30th rd. Michael Harvey Tonkin…wife's name is Becky…2008 graduate of Palmdale (CA) High School… signed by Twins scout Dan Cox…brother-in-law of former MLB outfielder Jason Kubel. In his lone season with Hokkaido in the Japanese Pacific League, went 4-4, 3.71 (21 ER/51.0 IP) with 12 saves and 20 holds in 53 relief appearances…ranked among Pacific League leaders in saves (8th) and holds (9th), while 6 blown saves were T3rd in the circuit…had a 1.333 WHIP and opponents batted .234/.336/.313/.649 (45-192)…went 12-for-18 in save tries and finished 16 games…over 1st 43 outings through 8/17, had a 1.93 ERA (9 ER/42.0 IP)…in final 12 G, including his 2 playoff appearances, his ERA was 12.60 (14 ER/10.0 IP)…had a 2.41 ERA (10 ER/37.1 IP) when pitching one one-ormore days of rest. Made Twins Opening Day roster for first time in career and spent entire season with Minnesota. Earned first major league win April 17 vs. Los Angeles-AL, pitching 2.0 scoreless innings with four strikeouts. Set career-high with 3.0 innings pitched April 22 at Washington; recorded first major league at-bat and struck out against Gio Gonzalez. Posted a 1.50 ERA (12.0 IP, 2 ER) with 15 strikeouts in 10 April games. Struck out multiple batters in 21 games, including season-high of four, done three times: April 17 vs. Los Angeles-AL, July 21 at Boston and July 27 vs. Atlanta. Held right-handed hitters to a .266 (50-for-188) average and left-handers to a .306 (30-for-98) average. Ranked second on Twins staff in games (65) and fifth in strikeouts (80). Allowed just 14 of 41 inherited runners to score (34.1%). Set career-highs in games (65), innings pitched (71.2) and strikeouts (80). Was optioned from Twins spring training to Triple-A Rochester March 20...Was recalled by Minnesota five different times during the season...Did not allow a home run at Rochester in 19 appearances from April 19-July 28....Set single-game career-high with eight strikeouts (9 batters faced) at Rochester in 3.0 innings pitched July 3 at Lehigh Valley...Held opponents scoreless in eight July appearances while at Rochester (15.0 IP) with two walks and 19 strikeouts...combined to post a 0.34 ERA (26.1 IP, 1 ER) in final two months at Rochester before being recalled by Minnesota September 1....Converted eight straight save opportunities for the Red Wings June 30-August 18...finished tied for team lead in saves with Rochester (14)... Ended season with Twins with 10.2 scoreless inning streak from September 13 through season's end....Combined to go 2-1, 1.96 ERA (64.1 IP, 14 ER) with 14 walks and 65 strikeouts in 59 games at Rochester and Minnesota. Was in Twins spring training, optioned to Triple-A Rochester March 24 but recalled from Rochester and was on Opening Day roster as Brian Duensing was placed on Paternity List...Made one appearance and was optioned to Rochester April 3; recalled again April 12...Posted a 1.29 ERA (7.0 IP, 1 ER) in first nine appearances overall with Minnesota...Optioned to Rochester May 18...Struck out at least one batter in 14 straight appearances May 29-July 5 with Rochester...Ranked third on the Red Wings staff with 39 appearances and led the club in saves with 10 (12 opportunities)...15 of final 19 appearances for Red Wings were scoreless (since July 11), posting a 2.18 ERA (20.2 IP, 5 ER) in that span...Recalled September 2...Pitched in 10 games in September, posting a 2.70 ERA (6.2 IP, 2 ER) with no walks and seven strikeouts. Participated in his first Twins major league spring training, was optioned March 11...began season with Double-A New Britain. Did not allow an earned run in 15 consecutive appearances (16.2 IP) April 21-May 28 and was promoted to Triple-A Rochester May 30. Did not allow an earned run in first 10 appearances (11.2 IP) for the Red Wings May 30-June 23. Recalled by Minnesota July 11 when Caleb Thielbar was placed on the Bereavement List. Made major league debut July 11 at Tampa Bay, pitching 1.1 scoreless innings with one strikeout. Optioned to Triple-A July 13. Recalled August 20; appeared in one game for the Twins and optioned back to Rochester August 23. Converted 14 of 15 save opportunities for the Red Wings leading the club in saves. Recalled September 9 and posted a 1.00 ERA (9.0 IP, 1 ER) in seven September games. Posted a 3.03 ERA (68.1 IP, 23 ER) with 76 strikeouts and 19 walks in 61 games between all three levels. Led Twins minor leaguers in saves (21). Named reliever on MiLB.com Twins organizational All-Star team. Started season with Single-A Beloit and won in first appearance, tossing 2.0 scoreless innings April 6 vs. Peoria. ... Recorded at least one strikeout in 20 of 22 appearances for the Snappers, totalling 53 strikeouts in 39.0 innings; struck out multiplebatters in 15 appearances. ... Selected to play in the Midwest League All-Star Game. ... Promoted to Single-A Ft. Myers June 20. ... Named Twins minor league Pitcher of the Week June 15, tossing 5.2 scoreless innings with three saves, no hits allowed, no walks and 12strikeouts in five games. ... Named Twins minor league Pitcher of the Month for June, going 0-1, 0.64 (14.1 IP, 1 ER) with two saves and 27 strikeouts in nine games. ... Recorded at least one strikeout in all 22 appearances for the Miracle, totalling 44 strikeouts in 30.1 innings; struck out multiple battersin 15 appearances. ... Combined to go 4-1, 2.08 (69.1 IP, 16 ER) with 12 saves, 97 strikeouts and 20 walks in 44 appearances between both levels. ... Named reliever on MiLB.com Twins organizational All-Star team. ... Played for Peoria Javelinas in the Arizona Fall League, going 1-0, 2.45 (14.2 IP, 4 ER) with three walks and seven strikeouts in 10 games. ... Added to the Twins 40-man roster in November. Spent entire season with Single-A Beloit...did not allow a run in 13 consecutive appearances (14.2 IP) May 23-June 28...posted a 2.13 ERA(12.2 IP, 3 ER) in 10 June appearances...recorded at least one strikeout in 11 straight appearances (23 total) July 9-August 15...allowed just threehome runs on the season and just one in final 40 appearances since May 2...tied for team-lead in appearances (48). Started season with Single-A Beloit...went 3-6, 4.29 (65.0 IP, 31 ER) in 13 games (12 starts) for the Snappers...transferred to RookieElizabethton July 19...eight of his 10 appearances for the E-Twins were scoreless -- seven of those scoreless appearances were outings of 2.0innings-or-more. Spent entire season with Rookie GCL Twins...named Twins minor league Pitcher of the Week July 17, going 1-0, 0.00 (7.0 IP) with two hitsallowed and 15 strikeouts in one start...went 2-1, 1.73 (26.0 IP, 5 ER) in five August games (4 starts)...finished second in the GCL in strikeouts (60). Spent first professional season with GCL Twins, going 0-1, 3.27 (11.0 IP, 4 ER) in six games (1 start)...ranked 30th best prospect in theTwins organization by Baseball America entering the 2009 season. March 22, 2019 Milwaukee Brewers signed free agent RHP Michael Tonkin to a minor league contract. March 22, 2019 RHP Michael Tonkin assigned to San Antonio Missions. March 21, 2019 Texas Rangers released RHP Michael Tonkin. 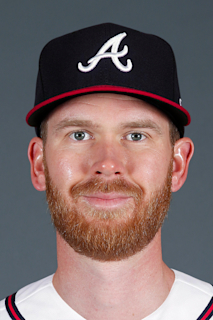 March 21, 2019 Nashville Sounds released RHP Michael Tonkin. January 22, 2019 Texas Rangers signed free agent RHP Michael Tonkin to a minor league contract and invited him to spring training. January 22, 2019 RHP Michael Tonkin assigned to Nashville Sounds. November 8, 2017 Minnesota Twins released RHP Michael Tonkin. October 4, 2017 Minnesota Twins activated RHP Michael Tonkin. October 3, 2017 Minnesota Twins reassigned RHP Michael Tonkin to the minor leagues. September 5, 2017 Minnesota Twins selected the contract of RHP Michael Tonkin from Rochester Red Wings. May 14, 2017 Minnesota Twins sent RHP Michael Tonkin outright to Rochester Red Wings. May 7, 2017 Minnesota Twins designated RHP Michael Tonkin for assignment. September 1, 2015 Minnesota Twins recalled RHP Michael Tonkin from Rochester Red Wings. August 16, 2015 Minnesota Twins optioned RHP Michael Tonkin to Rochester Red Wings. August 14, 2015 Minnesota Twins recalled Michael Tonkin from Rochester Red Wings. June 25, 2015 Minnesota Twins optioned RHP Michael Tonkin to Rochester Red Wings. June 11, 2015 Minnesota Twins recalled Michael Tonkin from Rochester Red Wings. June 4, 2015 Minnesota Twins optioned RHP Michael Tonkin to Rochester Red Wings. June 3, 2015 Minnesota Twins recalled Michael Tonkin from Rochester Red Wings. May 29, 2015 Minnesota Twins optioned RHP Michael Tonkin to Rochester Red Wings. April 30, 2015 Minnesota Twins recalled Michael Tonkin from Rochester Red Wings. March 20, 2015 Minnesota Twins optioned RHP Michael Tonkin to Rochester Red Wings. September 2, 2014 Minnesota Twins recalled Michael Tonkin from Rochester Red Wings. May 19, 2014 Minnesota Twins optioned RHP Michael Tonkin to Rochester Red Wings. April 12, 2014 Minnesota Twins recalled Michael Tonkin from Rochester Red Wings. April 3, 2014 Minnesota Twins optioned RHP Michael Tonkin to Rochester Red Wings. March 31, 2014 Minnesota Twins recalled Michael Tonkin from Rochester Red Wings. March 24, 2014 Minnesota Twins optioned RHP Michael Tonkin to Rochester Red Wings. September 9, 2013 Minnesota Twins recalled Michael Tonkin from Rochester Red Wings. August 24, 2013 Minnesota Twins optioned Michael Tonkin to Rochester Red Wings. August 20, 2013 Minnesota Twins recalled Michael Tonkin from Rochester Red Wings. July 14, 2013 Minnesota Twins optioned Michael Tonkin to Rochester Red Wings. July 11, 2013 Minnesota Twins recalled Michael Tonkin from Rochester Red Wings. July 10, 2013 Michael Tonkin roster status changed by Rochester Red Wings. May 30, 2013 RHP Michael Tonkin assigned to Rochester Red Wings from New Britain Rock Cats. March 11, 2013 Minnesota Twins optioned Michael Tonkin to New Britain Rock Cats. November 20, 2012 Minnesota Twins selected the contract of Michael Tonkin from Fort Myers Miracle. June 20, 2012 Michael Tonkin assigned to Fort Myers Miracle from Beloit Snappers. April 4, 2011 Michael Tonkin assigned to Beloit Snappers from Elizabethton Twins. July 19, 2010 Michael Tonkin assigned to Elizabethton Twins from Beloit Snappers. May 9, 2010 Michael Tonkin assigned to Beloit Snappers from GCL Twins.